J.M. 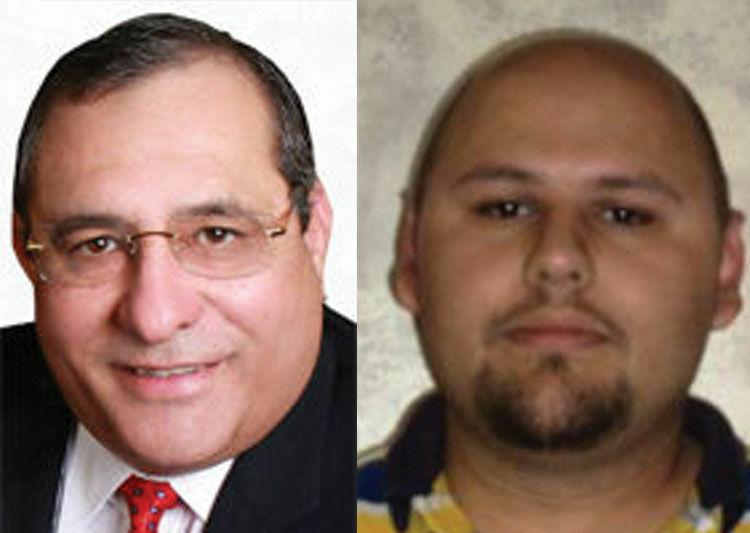 "Chuy" Alvarez and Jesse Barrera, candidates for Precinct 1 Justice of the Peace in Starr County. Starr County will have two new justices of the peace. J.M. “Chuy” Alvarez received 1,073 votes to defeat Pct. 1 incumbent Jesse Barrera, who received 1,011 votes, according to unofficial numbers. Roel “Role” Valadez defeated incumbent Martin Martinez for the Pct. 4 office with 1,479 votes to 954. Martinez has been in office since 2015 while Barrera entered the Pct. 1 office in 2013. With their victories Tuesday night, Alvarez and Valadez secured the Democratic nomination for a place on the general election ballot in November. However, tabulating those results took longer than anticipated due to a problems with the voting machines. Judith Solis, Starr County Democratic Chair, said there was a glitch with the software, after which state officials directed them to count manually. The results were announced around midnight.